The Israeli Magistrate Court extended the detention of Palestinian activist Hasan al-Safadi at Addameer rights group till next Friday pending investigation. A hearing was held Wednesday at the Magistrate Court in occupied Jerusalem, during which the judge decided to extend the interrogation period for six additional days, Addameer affirmed. Safadi was arrested while crossing al-Karameh Bridge on June 1. He was then transferred to Maskobiyyeh Interrogation Center. Safadi was isolated since his arrest amid inhuman detention conditions, Addameer pointed out. Addameer Prisoner Support and Human Rights Association condemned in a statement issued Wednesday the violations practiced by the Israeli occupation forces systematically against human rights activists, human rights defenders, and journalists. Addameer also denounced the arbitrary detention of those activists and of others standing in solidarity with the Palestinian people in light of the daily crimes practiced against them by the occupation forces, which violate international human rights and humanitarian laws. On the other hand, Israeli Ofer court accepted Wednesday the appeal submitted by Israeli prosecution against the 11-month sentence imposed against the journalist Ahmed al-Beitawi. Israeli court has earlier sentenced al-Beitawi to 11 months imprisonment and imposed a fine of 500 dollars on him for his human rights activism. Ofer court decided to accept the Israeli prosecution’s appeal and to review al-Beitawi’s sentence. Al-Beitawi, 33, spent 15 months in Israeli jails in two arrests in 2014 and 2015. 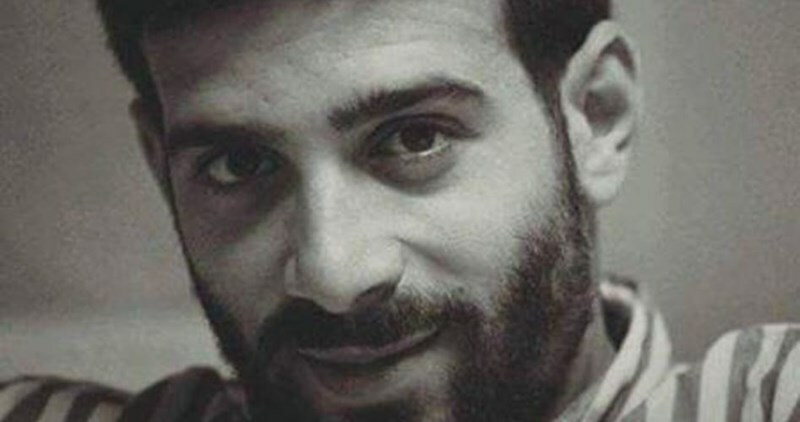 The detention and interrogation of Palestinian journalist and human rights defender Hasan Safadi, Arabic media coordinator for Addameer Prisoner Support and Human Rights Association, was renewed on Friday, 3 June. 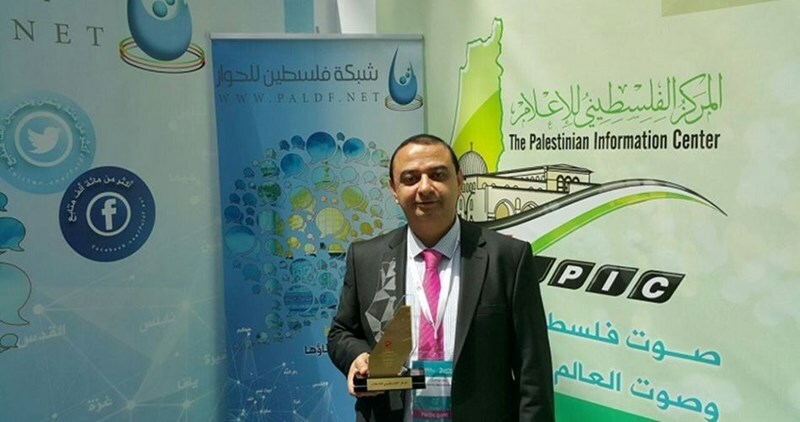 Journalists like Hazem Nasser and Mujahid Saadi are targeted and accused of membership in or support for an “illegal organization” – any Palestinian political party. Palestinian media sources revealed that the Palestinian Authority (PA) continued the detention of three Palestinian journalists, while 20 others are held captives in Israeli jails. 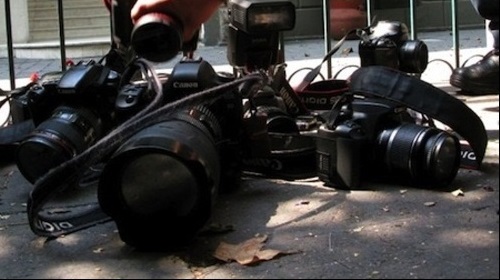 The Journalist's Bloc and Palestine’s International Forum for Information and Communication (Tawasul) condemned, in separate statements, the escalated arrest campaign against journalists. They demanded the PA to immediately release journalist prisoners and to exclude them from issues of political disputes. 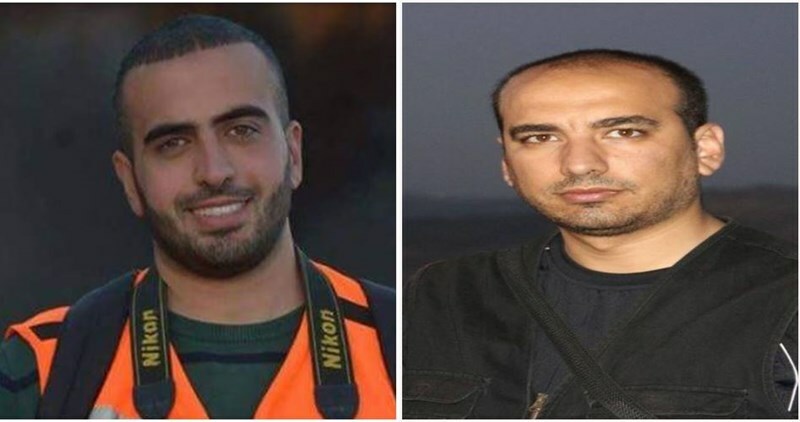 In a statement on Thursday, the Journalist's Bloc said that the PA’s apparatuses over the past three days arrested two journalists: Amir Abu Aram, the cameraman of al-Aqsa TV in Ramallah and Zeid Mustafa Abu Arrah from Tubas. They also extended the detention order of journalist Tarik Abu Zeid, who has been detained since May 16, .to 15 days. 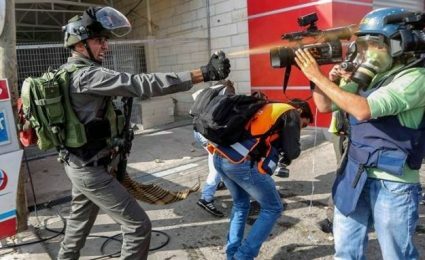 Tawasul forum slammed the PA for the arrest of journalists especially that media institutions have been working on the liberation of 20 captives of journalists imprisoned in Israeli jails. Tawasul demanded immediate release for all of the captives and asked the human rights and syndicate institutions to exert efforts to prevent arresting journalists in the future, guarantee their freedom and support them in their missions of reporting reality to the public. The Palestinian Authority (PA) apparatuses on Wednesday kidnapped two journalists from the occupied West Bank provinces of Ramallah and Tubas. The PA General Intelligence officers in Tubas arrested the Palestinian journalist Zayd Abu Ara, 29, after summoning him for interrogation. Zayd’s father, Mustafa, said the PA intelligence arrested his son shortly after they spoke up to him by phone and summoned him for questioning. The family said efforts have been underway since the early morning hours to reach Zayd’s location. 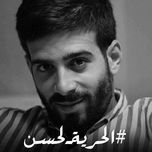 Zayd, a professional journalist, had been arrested by the PA on various past occasions on account of his work with the Quds Press International news agency. The PA General Intelligence forces further arrested the 24-year-old Palestinian photojournalist Ameer Abu Areim, working for the al-Aqsa TV Channel in Ramallah, Ameer’s wife Juman Abu Arafa said on Facebook. Eyewitnesses said the PA officers stopped a vehicle driven by Ameer in Birzeit and forced him out at gunpoint. Journalist Tareq Abu Zayd has, meanwhile, been kept in the PA penitentiaries in Nablus for the 16th day running. Journalist Layla Hamarsha said Abu Zayd will be brought before court on Thursday after the judge turned down five appeals to release him on a bail. Dozens of Palestinian journalists in Nablus participated in a sit-in in solidarity with their colleague Tariq Abu Zeid who has been held captive at the Palestinian Authority’s (PA) security apparatuses for a week. The participants gathered at al-Shuhada Square in the city and waved Abu Zeid’s photos along with other posters condemning the policy of political arrest especially against journalists. Jaafar Eshtaiyeh, member of the secretary general staff of Palestinian journalists' syndicate, called on the PA to release Abu Zeid and stop targeting the journalists. Abu Zeid’s father demanded immediate release of his son and underlined that he did not commit any offense that requires being arrested. The PA’s intelligence apparatus arrested Tarik Abu Zeid after raiding his home in Nablus city at a late hour on Monday, May 16. He was charged with publishing false news affecting “the prestige of the state”. The court extended his detention order to 15 additional days last Thursday. The Palestinian Journalists Syndicate (PJS) has reported that the Israeli occupation is holding captive twenty Palestinians journalists, including its General Secretariat, Omar Nazzal. While congratulating journalist Mohammad al-Qeeq, and his family, after winning his freedom following an extended hunger strike that lasted for 94 days, the PJS said that Israel is still illegally imprisoning twenty additional journalists. In its statement, the PJS also denounced the abduction and imprisonment of its General Secretariat Omar Nazzal, and the Israeli decision to hold him for four months, under arbitrary Administrative Detention orders, without charges or trial. It added that it will continue its joint work with various institutions and organizations to pressure Israel into releasing all detained journalists, and to stop its ongoing violations and assaults against them. It is worth mentioning that Omar Nazzal was kidnapped by the army at the al-Karama border terminal, while heading to the Convention of European Journalists, in Bosnia and Herzegovina. The Palestinian Journalists Syndicate said the abduction of Nazzal, and other journalists, is a clear proof of Israel’s targeting of journalists in direct violations of all related international laws and human rights treaties. Badran said that al-Qiq’s release came thanks to his legendary steadfastness for 94 consecutive days and the unprecedented popular support for his hunger strike. Badran pointed to the heroic role of Palestinian journalists who stood behind al-Qiq and raised his case to the whole world. This victory will certainly strengthen the Palestinian prisoners’ determination, he stressed. Badran concluded by calling on Palestinians to take part in the ceremony which will be held on the occasion of al-Qiq’s freedom. Mohamed al-Qiq was freed Thursday from the Israeli Nafha prison after he went on a three-month hunger strike in protest against his administrative detention. Shortly after his release, al-Qiq held a press conference in which he called for a real popular support for the Palestinian prisoners’ issue. He stressed that his victory over Israeli jailers is a victory for all the Palestinian people. During the press conference, al-Qiq pointed to the serious health deterioration of dozens of Palestinian sick prisoners and hunger strikers in Israeli jails including Bassem al-Sayeh, Jalal Sharawna, Ayham Sabah, and Omar al-Rimawi. Al-Qiq expressed his gratitude to all those who supported his hunger strike and contributed to his victory. 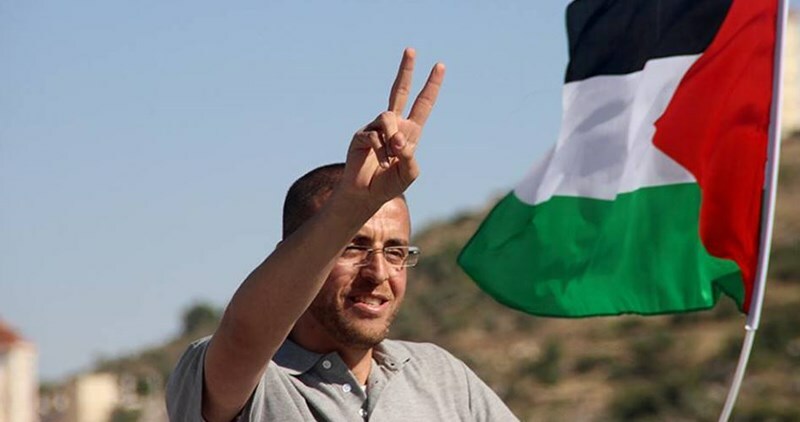 After 94 days, al-Qiq ended his hunger strike under an agreement with Israeli officials, entailing his release on May 21 with no renewal to his arbitrary detention. Over 500 detainees are under administrative detention, which is a sort of imprisonment without trial or charge that allows Israel to incarcerate Palestinians for up to six months. The detention order can be renewed for indefinite periods. Palestinian detainees have continuously resorted to open-ended hunger strikes in an attempt to express their outrage at the illegal and unfair administrative detention. Palestine International Forum for Information and Communication (Tawasul 2) concluded on Thursday evening after two days of seminars dealing with the current challenges faced by the Palestinian cause in the media. More than 620 media experts from 52 countries all over the world had participated in the two-day forum in Istanbul. The participants had discussed ways of supporting Palestinian cause and means of refuting Israeli myths and lies. Secretary General for the forum said during the closing ceremony that four seminars and six workshops were held during the two-day forum, dealing with digital media and youths’ role in Palestinian cause. The event also discussed communication strategies and media effects, and a review of Mass Communication Arts and influencing the public opinion in a way that helps the workers in the media field to highlight the just Palestinian cause. The Forum is expected in its future strategy to enhance contacts with supporters of the Palestine cause in Latin America in a bid to expose the Israeli media lies, the Secretary General revealed. 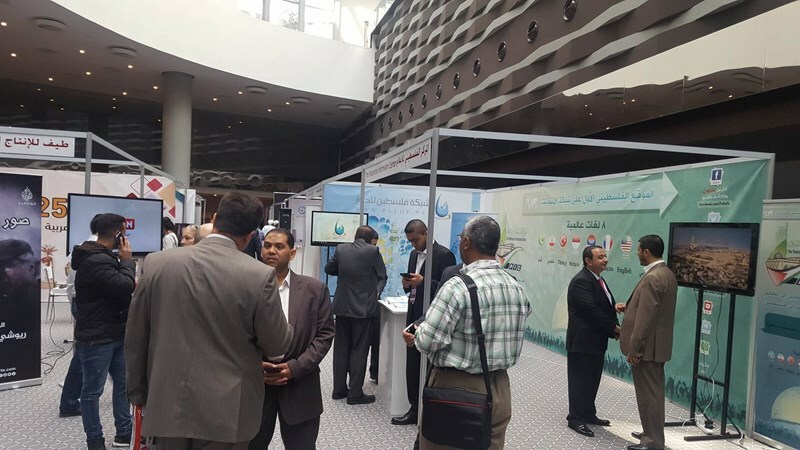 Palestine International Forum for Information and Communication (Tawasul 2) started on Thursday its second day of seminars in Istanbul with the participation of hundreds of media experts. Two seminars are scheduled to be held today under the titles of “Digital Palestine” and "Palestinian media priorities today", in addition to two workshops. The International Palestinian Forum for Media and Communications held its first conference, 1st Tawasul Conference, in the Turkish city of Istanbul on April 23-24 2014, with the participation of 450 media writers, journalists, artists, and representatives of media institutions from over thirty countries across the world. The second forum is scheduled to discuss the current challenges faced by the Palestinian cause in light of the media developments and ways to promote media support for the Palestinian issue. Palestine International Forum for Information and Communication (Tawasul 2) kicked off Wednesday in Istanbul amid large participation of media experts and institutions from all over the world. During the forum, a corner room was allocated to introduce the PIC and its efforts in support of the Palestinian issue. Director of al-Jazeera news room Mahmoud al-Khatib hailed the important and ongoing role of the PIC in covering Palestinian daily updates along the past twenty years. The Palestinian Information Center is a Palestinian News website and network, established first in Arabic language on 1 December 1997, later the English language was launched on 1 January 1998. 6 other languages followed. It's one of the most viewed website in Palestine. PIC aims to promote awareness about Palestine, the Palestinians and the Palestinian issue. The forum has also honored Dawabsheh family which its members (a baby and his parents) were victim of Israeli settlers’ arson attack last year in Nablus. The Palestinian journalist Mohamed al-Qiq, who launched a hunger strike for three months in Israeli jails in protest against his illegal administrative detention, was also honored during the event. The International Palestinian Forum for Media and Communications held its first conference, 1st Tawasul Conference, in the Turkish city of Istanbul on April 23- 24 2014, with the participation of 450 media writers, journalists, artists, and representatives of media institutions from over thirty countries across the world. The second forum is scheduled to discuss the current challenges faced by the Palestinian cause in light of the media developments and ways to promote media support to the Palestinian issue. Ryuichi Hirokawa, a Japanese citizen who loves and supports Palestine, has been documenting the suffering of the Palestinians and the Zionist crimes against them and their homeland by his camera lens for over 50 years. The turning point of Hirokawa's life is that moment when he arrived in the 1948 occupied Palestinian territories in 1966. He was an admirer of the idea of Zionism, but his fascination of it faded quickly and turned into love and adoration of Palestine. Hirokawa, 72, told the Palestinian Information Center his story saying: "I came to Palestine for the first time in 1966, an admirer of the idea of Kibbutz, but while wandering around I was shocked to see the ruined and destroyed homes, so I was certain that these Jews are occupiers, and this land is owned by indigenous owners, who are the Palestinians." He continued: "I began to search in the history of the Palestinian cause, and visited the Palestinian villages and met with displaced people, until I was informed of the truth, so I decided to serve Palestine and spread the truth in my country, Japan." Hirokawa wrote more than 60 books, 12 of them were about Palestine. He says: "The Palestinians taught me self-esteem, and the meanings of sacrifice and courage, I feel ashamed of myself when I document the Palestinians' sacrifices." The Japanese journalist, Hirokawa, founded the Children of Palestine Foundation in Japan, and was the first journalist to document the Sabra and Shatila massacre in Lebanon; he also organized more than 400 photo exhibitions in support of the Palestinian cause in Japan. Tayef for TV production has produced a documentary about the life of photographer, Hirokawa, titled: (photos without shadow), which will be broadcast later on Al-Jazeera. 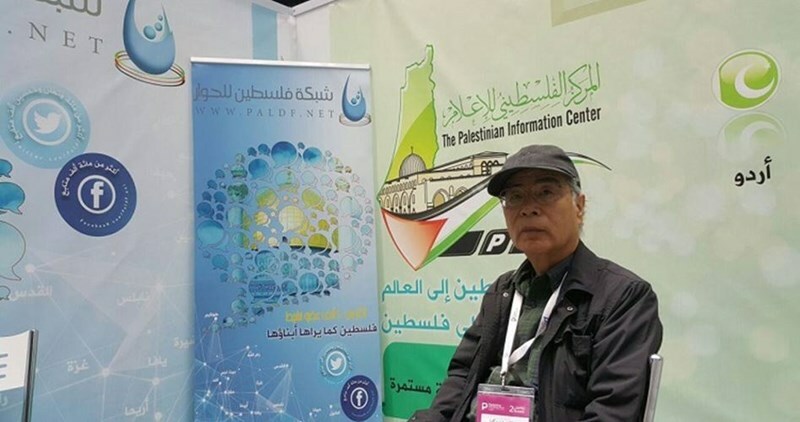 Hirokawa was honored on the sidelines of the "Palestine in the media ... Opportunities and Challenges Conference”, which is currently held in Istanbul.